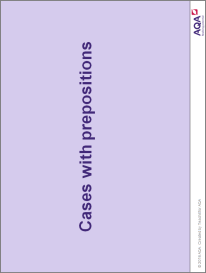 A PowerPoint and gap fill worksheet to revise the use of prepositions with different cases in the context of internet use. Hi Susannah, thank you for pointing this out. The link was working when this resource was published but has now been made private so I have removed the reference to this video in the resource. This looks good. Unfortunately the video link in the teachers notes says that the video is private?